Well, I am going start this blog post directly to the point, as I want to make it real informative. Simply put, it is a virtual device which the Internet Service Provider sells to its clients as a service. Sometimes the VPS is clubbed together with Cloud Servers. In fact, they are thought to be the one and the same. This is because VPS and Cloud Servers share some common characteristics. Both DigitalOcean Cloud Servers and Virtual Private Servers are essentially virtualized environments. Both of these use the resources from one single hypervisor. As a result they offer certain specific advantages to their users. 1. FLEXIBILITY: DigitalOcean Cloud Servers provide practically unlimited flexibility as far as resource sites are concerned. 2. IMMEDIATE RESOURCE UPGRADES: Upgrade to more resources as and when you need them. What do these two features mean? It means that you have access to almost unlimited resources as and when you need them. Suppose, for example the traffic to your website suddenly spikes up and you get more hits than you ever planned for? You do not need to migrate to a whole new server. Rather, you just allocate as much resource as you need, on the fly. Similarly you can also downscale when you want to the degree you want without batting an eyelid. 3. SUPERIOR REDUNDANCY: With DigitalOcean Cloud Servers, if one component or application fails, others immediately take its place. With the vast resources of the Internet behind them and the multiple location advantage of the Cloud, DO Cloud Servers offer unmatched redundancy. 4. CENTRALIZED REDUNDANT DATA: Because Cloud Servers are present in a Cloud Computing environment they provide you with complete data redundancy. Because your data is spread across multiple locations. So, if one source of data fails, others take over. The redundancy that DO Cloud Servers provide makes operations extremely secure while reducing downtime. 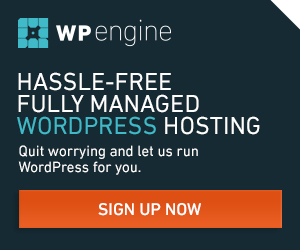 FREEDOM: Modify all your sever software as and when you require it. This includes even the Operating System. SECURITY: In DO Cloud Server, there is less chance of a data or software failure as neither of these are confined to a single location. Similarly your Server is always ready to face challenges like system overload by allocating more resources as and when you require. Similarly there is also less chance of your hardware breaking down on you as there will always be multi-location redundancy. INEXPENSIVE: Compared to other kinds of servers, DigitalOcean Cloud Server is distinctly inexpensive. This can also have implications on server speed. As resources are less expensive you can easily afford to allocate more resources to your site. This means that your site works much faster than it would otherwise have if you did not have Cloud Server Capabilities. SCALABILITY: Do you need more memory? Do you wish to increase your disk space? 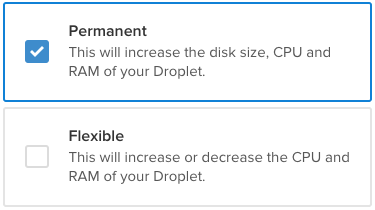 Well with a DigitalOcean Cloud Server you can get the upgrade you want, when you want. When you do not need as much resources, you can downscale automatically and immediately. So, its time to get yourself rolling with DigitalOcean cloud servers, give it a try and let me know, what all amazing software product you develop. 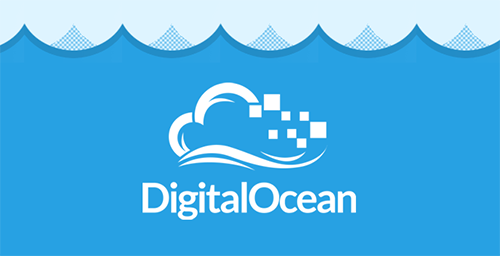 You can also check my detail of DigitalOcean Review. Why Windows MultiPoint Server 2010 is Important for College/School?